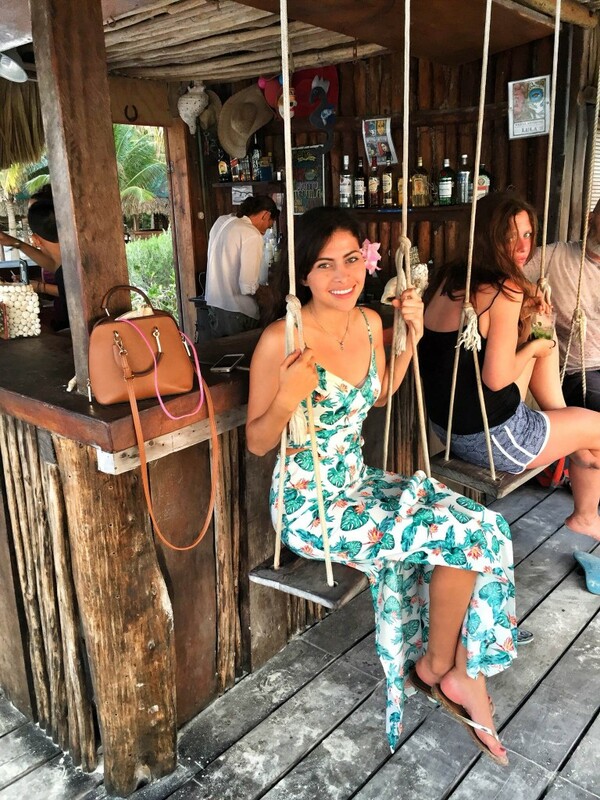 Mexico's Almost Best Kept Secret - Isla Holbox! 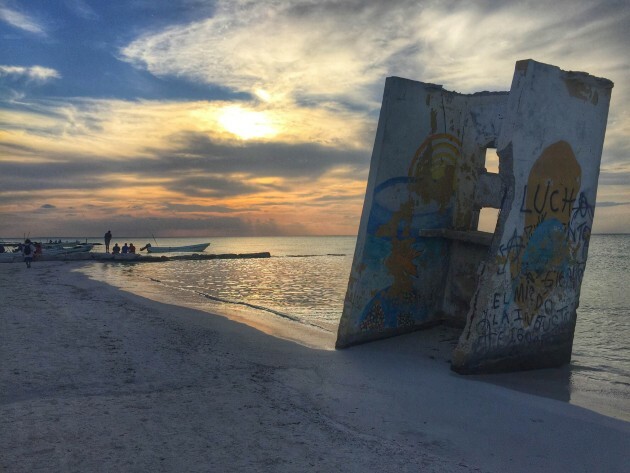 Mexico’s Almost Best Kept Secret – Isla Holbox! There aren’t many places in the world these days that can be dubbed veritable paradises, but, I’ve just been to one, Isla Holbox (pronounced Hole-Bosh). Ever since the creation of Cancun in the 1970s by the Mexican Government and some hoteliers, the Mayan Riviera has exploded with tourism, now stretching more than 80 miles (130 km) south to the picturesque Mayan Ruins of Tulum (which has become a small city itself after a major boon in foreign/local investment). While places like Playa Del Carmen (fastest growing city in North America) allure vacation goers looking for more of an “adventurous” vacation beyond the confines of a gated all-inclusive, there really isn’t much left on the Mayan Riviera with pristine, undisturbed beach front and raw nature. 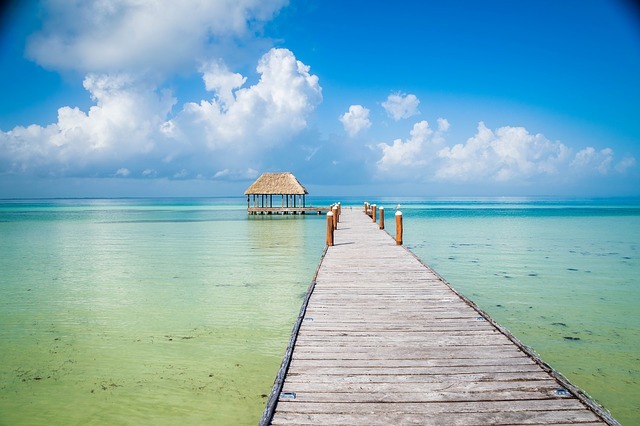 But, one such island which offers miles of powdery white coastline, unbelievably blue/calm waters and flora & fauna in its natural state is none other than Holbox. Even as I write this post, this small skinny island at the top of the Yucatan Peninsula is experiencing more tourists than the day before. 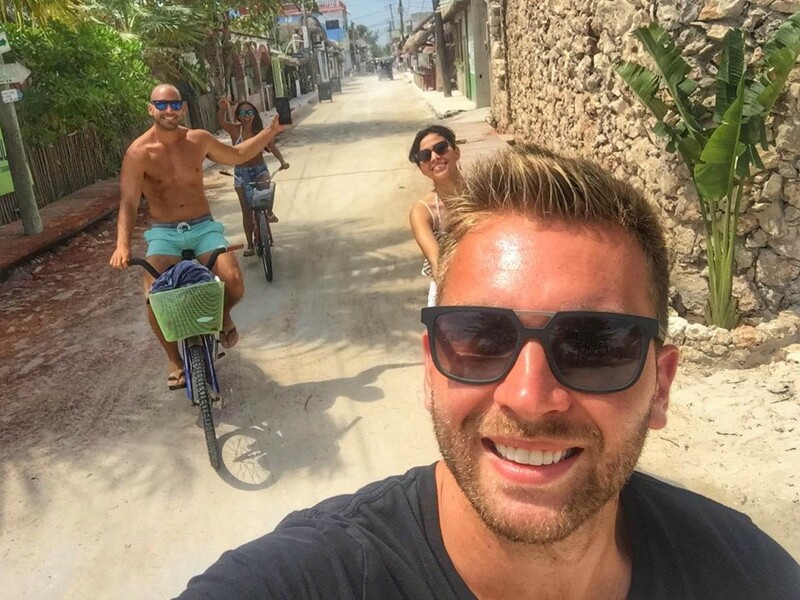 A friend and fellow travel blogger, Ryan from PauseTheMoment.com has been frequenting the island over the last couple of years and every time he comes back, he’s shocked at the growth, most of which is due to Isla Holbox being featured in The New York Times 52 Places to Visit in 2016. The island of Holbox is actually pretty long, about 26 miles (42 km), but it’s only 1 mile wide (1.5 km). There is a small fishing village on the far western corner where you arrive by ferry from the mainland. The town is growing very quickly, but still offers an authentic vibe with its old wooden fishing shacks complete with thatch roofs where local Mexican fisherman still call home. You can walk from the ferry port on the south shore to the north shore of the island where the amazing beaches are located in about 10 minutes. There are some beach front hotels to the east and west of the town about a mile or two in each direction but, things remain very calm as there are no large resorts on the island, and the beaches are open to anyone. You’ll find a melange of delicious restaurants ranging from ultra-fresh seafood joints (caught hours before by the locals) to Argentinian, Sushi and much more. Local and foreign artisans have opened up many galleries with great artwork showcasing local crafts as well as the rest of Mexico. The town has a very bohemian and relaxed vibe. There is an ATM on the island located in the main square above the police station from a legitimate bank, but it is advised to bring some cash with you as well. In terms of accommodation, you have many options ranging from camping on the beach to backpacker hostels to luxury boutique hotels. There are actually plenty of options on Airbnb even. Kick back and relax! One of the nicest parts of Holbox is you’re not bombarded by people trying to sell you tours and excursions (while there is a little bit of that, it’s not aggressive). The beaches are stunningly beautiful, miles long and the water is calm and clear. Rent a floaty and just lounge around for hours. Many of the beach front hotels offer seaside casual to upscale dining and you can also grab a beer or cocktail at all of them. Holbox is fast becoming a primo destination for kiteboarding as it’s a great beach to learn how to do it with its shallow and tranquil waters. You can also rent sea kayaks and paddleboards if kiteboarding sounds a bit too “extreme” for you. Many stores in town rent bicycles for 20 pesos an hour (~$1) or a golf cart for reasonable rates as well. There are no cars on the island, just motor bikes, golf carts and utility vehicles. Explore the amazing murals on many of the buildings in town. 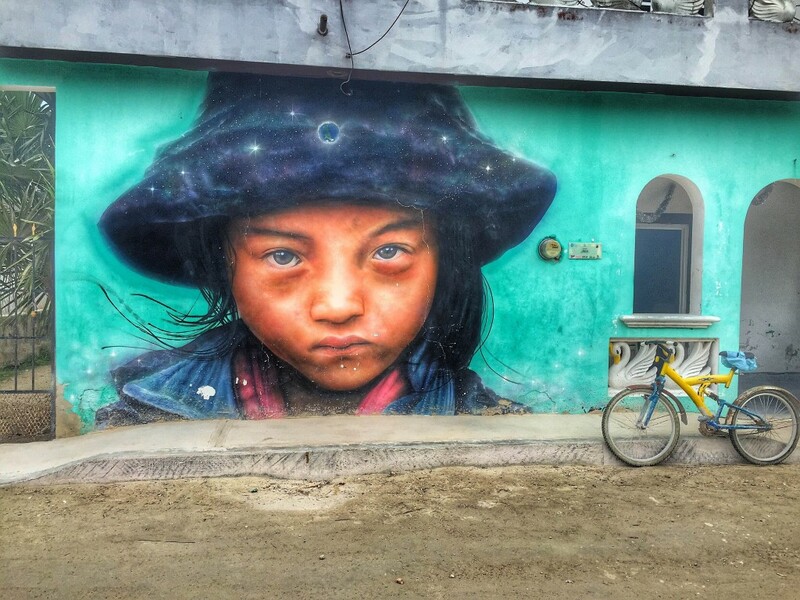 Holbox participated in the first ever Festival Internacional de Arte Publico (FIAP) or, International Public Art Festival, in 2015 when they invited a group of international artists to come paint amazing works of art all over the town. Many of the local fisherman also do fishing and spearfishing charters. They will clean the fish you catch and many restaurants will even cook it for a small fee. 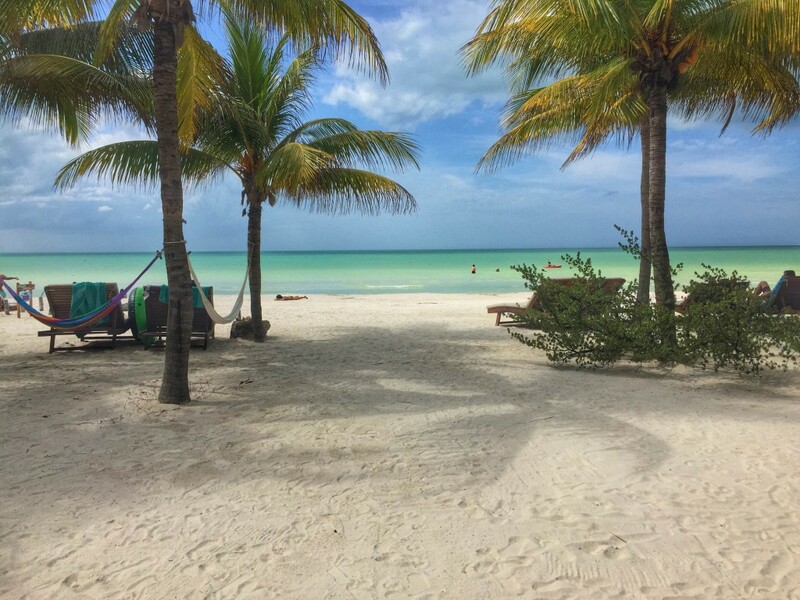 Holbox is actually situated on a protected biosphere reserve called Yum-Balam. That means there is plenty of pristine nature to explore resplendent with local wild and rare animals like pink flamingos, crocodiles, monkeys, coatis (raccoon like animal) countless types of fish, birds, sea turtles, lizards, etc. From June to September, you can swim with massive whale sharks (don’t worry they are actually fish! 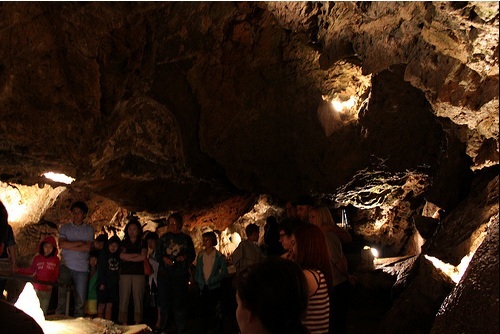 ), a rare opportunity that can only be experienced in a few places in the world. Make sure to take in the sunset as it descends over the azure waters, it’s spectacular. A favorite place to enjoy it by locals and tourists alike is at Zomay Beach Bar which is right on the beach and has lots of tables and swings. If you’re heading from town to the beach, turn left and walk about 5 minutes and you’ll see a lot of people hanging around, that’s Zomay. Thanks to a new toll highway, you can reach the port town of Chiquila from Playa del Carmen in about 1.5 hours on a nice road. It’s 2 hours from Cancun and about 2 hours 20 minutes from Tulum. You’ll find a multitude of private transfer options from any of the 3 aforementioned cities, one or two ADO buses a day, or the most comfortable/easiest way to reach Chiquila, renting a car. There are a bunch of guarded parking lots in Chiquila where you can park your car for about 100 pesos a day (a few bucks). There are two ferry companies operating boats every 30 minutes to Holbox for the same price, 120 pesos (~$6.80 as of March 2016). The water is calm and the ferries have a sun deck as well as air conditioned cabins. The ride only takes about 25-30 minutes. Another option is to fly from Cancun or Playa del Carmen directly to Holbox on a small 5 seat plane with AeroSaab airline that lands on an airstrip in town. 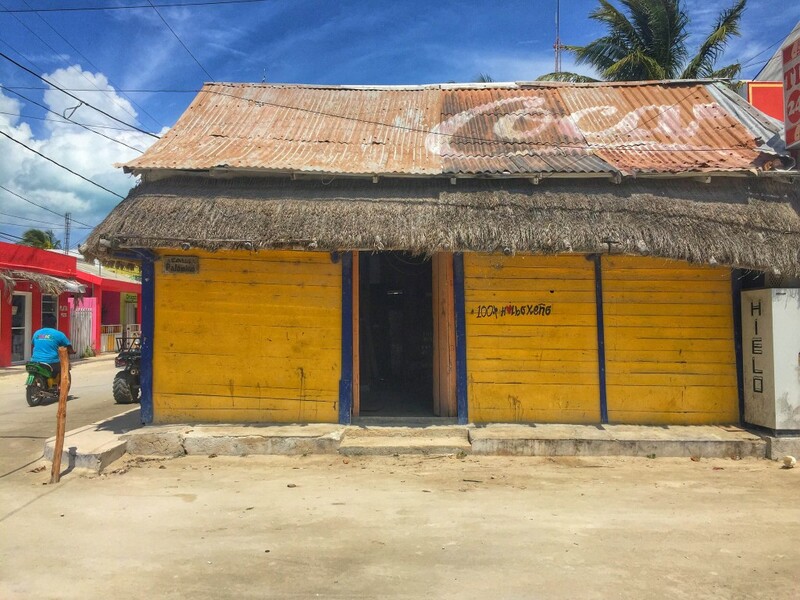 *There is no ATM in Chiquila on the mainland though so if you need money, make sure to take it out on Holbox before heading back on the ferry or to have some before you arrive to Chiquila. Is there more to Cancun than just Spring Break? Turkish Airlines to Offer Flights to Gotham City! 8 comments on Mexico’s Almost Best Kept Secret – Isla Holbox! Awesome post! 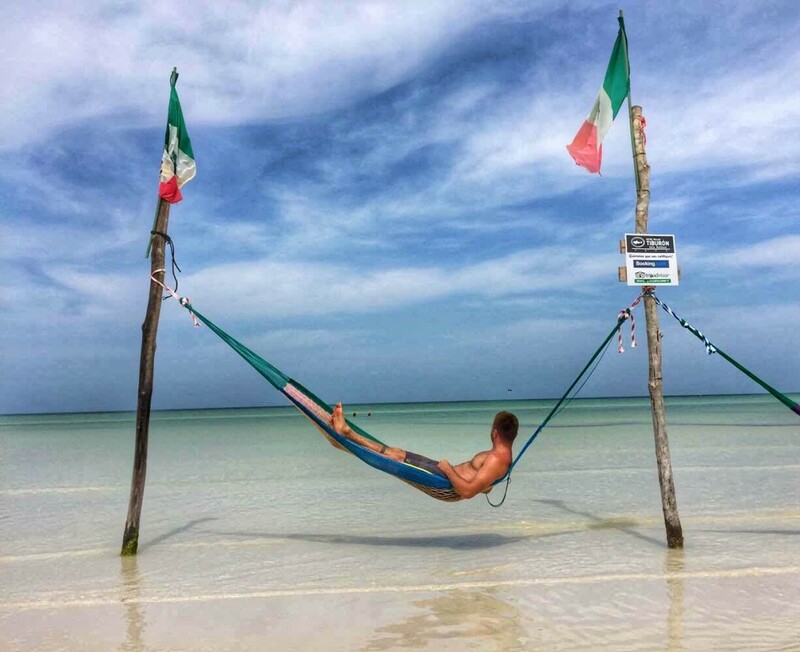 Holbox looks incredible, definitely have to add it to the list now! Definitely add it to the itinerary for the Yucatan! I love this post! I never even knew Holbox existed. Incredible. I’m going to Cabo in a few days. I think my next sojourn to Mexico will have to be Holbox. I’ll bring my sea-kayak and have a 2 week adventure! Thanks for the post! Glad to have shown the spotlight on Holbox for you 🙂 I think you’ll most definitely enjoy kayaking there. Wonderful, beautiful place! Great Post. This was the way Playa del Carmen was 20 years ago. I really miss it. It was truly a peaceful getaway. Now it is a bustling mini-Cancun, but it is still a gateway to some of the most fantastic diving in the world in Cozumel and I know the economic growth there has provided a lot of jobs for people from all over Mexico. I get to the Yucatan regularly, but have yet to visit Holbox. Thank goodness there are still a few retreats left. You have inspired me. Thanks! Good to know there are plenty of options for getting around and getting outdoors. Thanks. 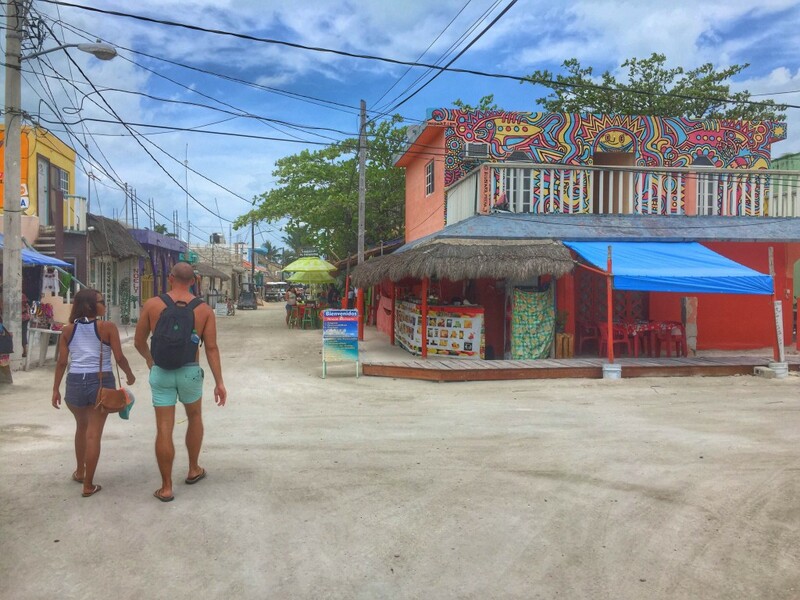 Holbox is very nice, not the blue blue water like in Playa Del Carmen, but the Island has its Owen magic, we have been going there for years, if you have a chance walk to the baseball filled and on the back side is Jimmys Best Food around. Also if you see a older gentalmen playing a guitar his name is Leonardo his sings like a movie star men your wife or girl friend will love it with the sunset. it is by far a great place to relax.